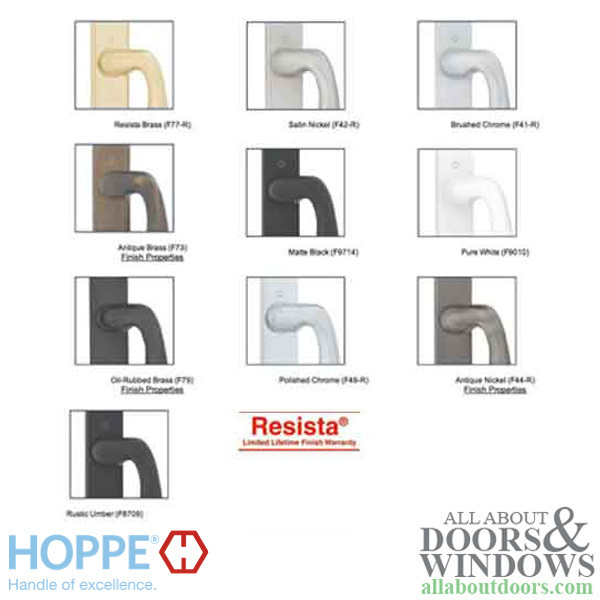 Hoppe - New Style Sliding Door multipoint Lock Hardware Trim Handle set. 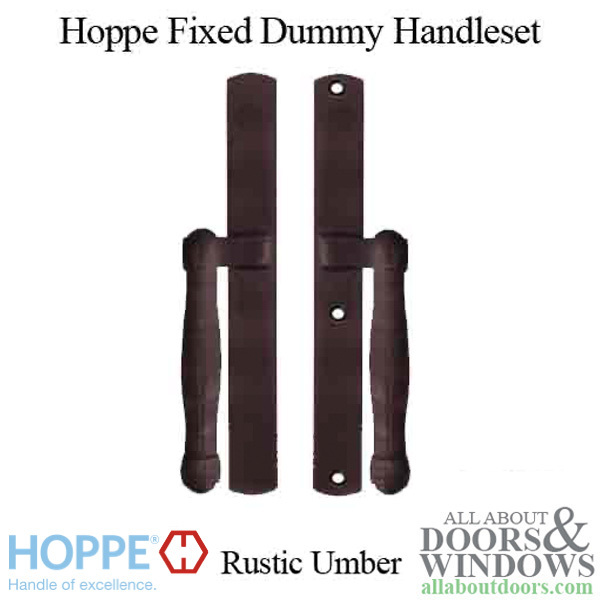 Fixed Dummy handles for Hoppe Multi-Point locking sliding doors with 2 hooks. M574 handles and 2165N interior and exterior back plates. 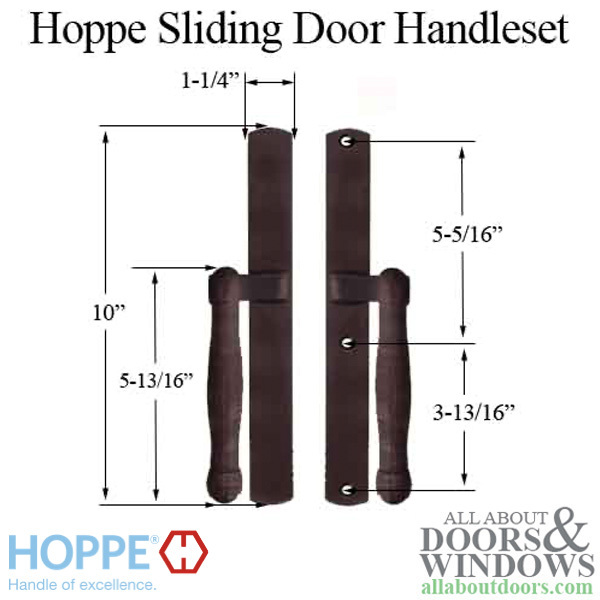 This set is non-keyed Outside with NO thumb-turn knob to lock inside.